Dimensionality reduction (DR) algorithms are able to find latent low dimensional structures hidden in high dimensional data, allowing to obtain a mapping onto a low dimensional space (typically 2D or 3D, for visualization) that preserves the most significant underlying structure in data. 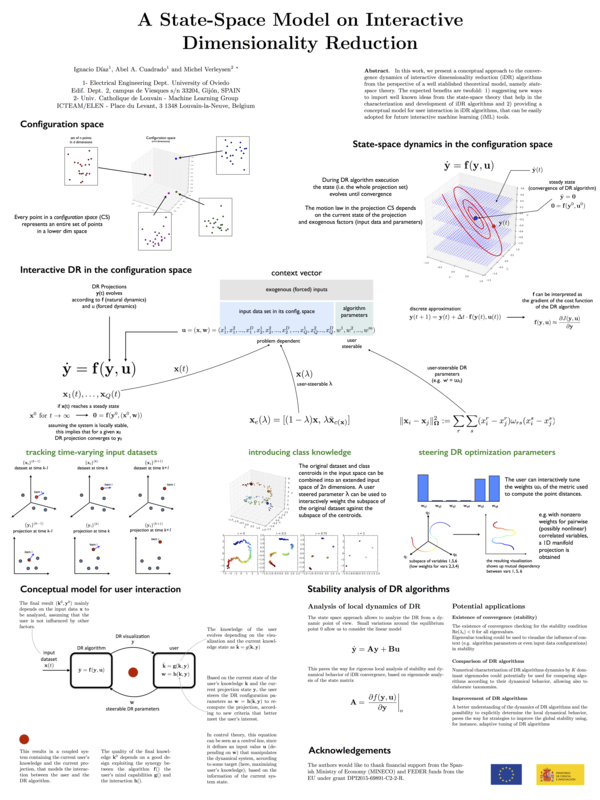 DR algorithms are based in computing the mutual distances between the elements of a high dimensional input space, to obtain a representation on a low dimensional visualization space (2D/3D) that preserves the underlying structure of data defined by these mutual distances. In other words, DR algorithms define a mapping or projection from the high dimensional input space onto a low dimensional visualization space that preserves the most significant structure and topological relationships of the data in the original space. DR algorithms are very useful tools for visual analytics, since they provide an advanced form of data "spatialization", that is, they allow to generate visual representations whereby the spatial proximity between two elements \(i\) and \(j\) in the visualization, represent the similarity between elements \(\mathbf x_i\) and \(\mathbf x_j\) in the high dimensional input space. A key element in visual analytics is interaction. Interaction techniques, such as zoom zoom, translation and rotation of data, focus & context, brushing, etc., allow the user to reconfigure the visualization to focus on interesting aspects of data or to discard irrelevant information. In the typical workflow of DR application for data visualization, interaction often takes place after DR computation of projections. The user typically sets an initial configuration for the DR algorithm, runs it until convergence and, after N iterations, the results are visualized. The user can then use interaction techniques to reconfigure this visualization or even decide to run the DR algorithm again with a different parameterization, therby starting the cycle again. However, interaction can go far beyond this approach if we allow the user to take complete control of the DR algorithm during convergence, and visualize the intermediante results. Using non-convex algorithms, such as the SNE (stochastic neighbor embedding), that are based on an iterative approximation mechanism, the visualization of intermediate results describes a smoothly changing structure that reveals in a dynamic way the changes in the relationships between the samples in terms of the chosen parameters (e.g. redefining the weights of the variables to define similarities). The result is a visualization that changes dynamically -an animated transition- that allows the user to track the changes in the projection that results from changes in the formulation of the problem, such as changes in the metrics of the input space (e.g. through user-defined modifications of weights in the input variables), or time varying input data (e.g. dynamical processes where the input data vectors vary with time). 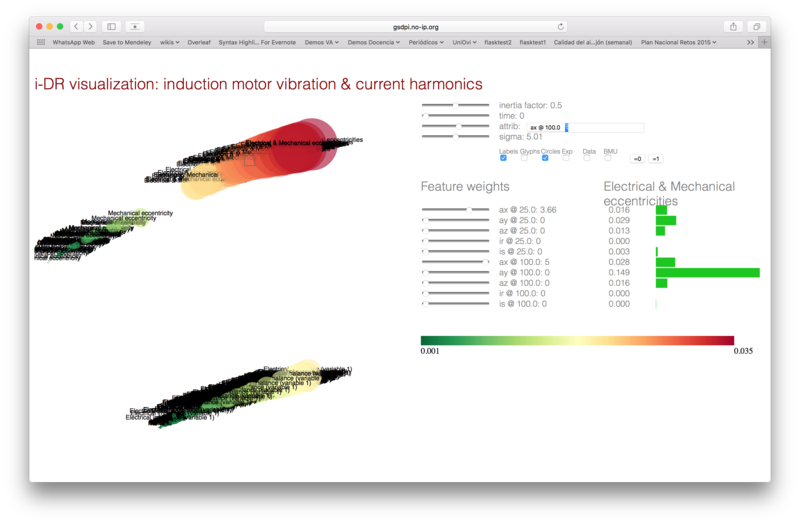 Modifying the weights of each variable (frequency bands in vibrations and currents) the map of vibration states is "reconfigured" on the fly, organizing the states by similarities on the variables to which the user has assigned a significant weight. 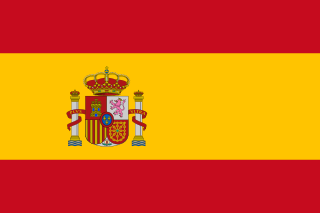 If one variable is fundamental to characterize a certain condition and is omitted by the user (i.e. given a small weight), this fault will not be isolated in the visualization and the corresponding states will become "merged" with the other states. On the other hand, if the user gives weight to this variable, a separation emerges, showing the user in a natural and intuitive way, that this variable is relevant in the characterization of this fault. 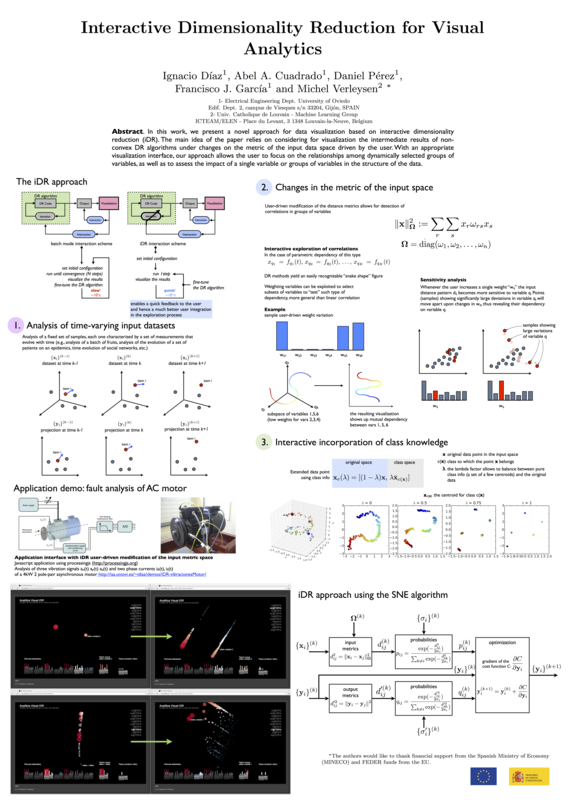 See below a poster with the core idea of iDR, presented in the ESANN2014 symposium, in Brugge, Belgium (pdf version here).